The International Master of Business Administration (IMBA) is the entirely English Taught 2-year full-time Business program offered by the College of Management of National University of Kaohsiung. 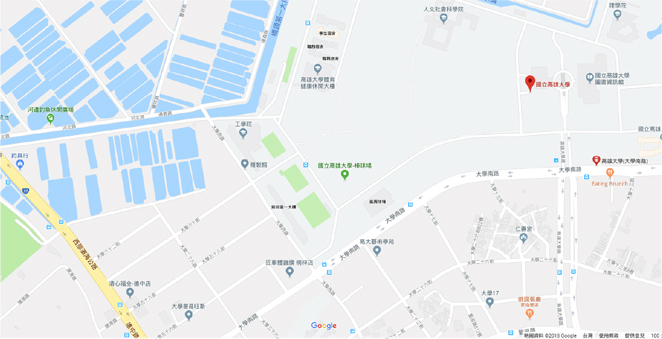 As one of the leading Universities in Taiwan, the College of Management at National University of Kaohsiung is an excellent place for postgraduate study. Outstanding Faulty: All our professors have PhD degrees either form the USA or UK and have been involved in teaching and research for many years. Free Chinese Class: One year Free Chinese courses and language tutors enable you to live in Taiwan more easily and give you a good start to perfect your language skill. Real Company Case Study Project: Students will have the opportunity to study and solve the real problems of the companies invited to our teaching activities. Student Exchange Opportunities: IMBA will be your gateway to other countries as we have signed exchange agreement with universities in Asia, USA ,UK and Europe. AS a students of full English program, you are in a better position to get the exchange opportunity than the others. Good news that our Chinese Class started yesterday. One of the biggest advantages to study in IMBA is students have a chance to attend free Chinese class for one year. They already master in English, and now hope that they will communicate fluently in Chinese soon. Many thanks to Graduate Institute of Teaching Chinese as a Second/Foreign Language, National Kaohsiung Normal University for helping us organize this course. IMBA students had the most remarkable tour to Taichung and Nantou this spring break. Not only everything was perfect, but also we felt that our school staffs and friends did their best to make this trip memorable. Students were pleasantly surprised by the diversity of the trip: from the Flower Expo, Houfeng Bikeway to Formosan Aboriginal Culture Village Map. Every activity offered new experiences. Our students did enjoy their time and participate enthusiastically in all activities. This definitely has become one of the most eye-opening and stunning journey. Special thanks to OIA for such an organized and wonderful trip, as well as your true care for us. Can't wait for the next trip in near future.